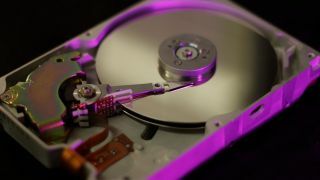 Data backup is one of those crucial computing tasks that we all know needs to be done, but too many of us don’t want to even think about it. However, it’s an issue that really should be tackled for obvious reasons – your precious data is at risk otherwise – and we’d suggest you do something about it sooner rather than later. Thankfully, there are some robust software choices out there, and with some time spent on the initial setup, you’ll be well on your way to having a reliable backup solution. Here are our top five picks you should consider for your backup needs. This backup software simultaneously sends data to both a local drive, and a cloud solution. It can also do cloning and mirror imaging duties for your rig’s system drive, in just two easy clicks. Acronis True Image has an anti-ransomware feature that detects, and can even reverse the unauthorized encryption of a hard drive to keep data safe from this increasingly prevalent type of attack. It also offers support for mobile device backup. The downside is that all this backing up does use some system resources, and can even lengthen boot times. A license for a single device goes for a one-time purchase of $49.99, but does not include any cloud storage space. Alternatively, you can pay for an annual subscription for the same price (every year) that includes 250GB of cloud storage space, and allows for the software to be upgraded to the latest version. EaseUS ToDo Backup is a solution that has been around for 13 years, with packages for businesses, home users and even service providers. It offers software for both Windows (XP and higher) and Mac platforms. In the Home and Home Office tier, it can handle an incremental or full backup for up to 16TB of data, including coping with multiple partitions, hardware RAID, and it also supports cloud backups. While there is a free tier, the single paid Home tier has a one-time affordable cost of $29 and adds advanced features, including support for a portable USB Windows drive, transfers to a different PC, email notifications, and Outlook email backup and recovery. The Business options start at $39. Paragon Backup & Recovery Advanced offers a flexible solution to simplify complex backup solutions. With the Create Backup Job wizard, guidance is provided to what will be backed up, and where the data will be stored. This software covers all the usual backup processes, and can easily create complex routines, including automated backup. A standout feature is the WinPE recovery media, which in the worst case scenario comes to the rescue for when your PC refuses to even boot. Via a bootable USB stick, users can rescue files, fix boot problems, and even perform a restoration to get up and running again in a jiffy. Pricing for home use is $49.95. NovaBackup PC is a solid backup solution available as a subscription, and ideal for the essential backup task of making a copy of your computer’s hard drive on local media. For modest users this will suffice, but it falls short when it comes to the interface, support for platforms other than Windows and Linux, and more advanced tasks. Another downside of this backup solution is the steep cost, as it is only sold as a subscription, and $49.95 (£36, AU$66) only licenses a single machine. However, it does at least include any upgrades to the program, and also supports backup to cloud providers (including OneDrive and Dropbox). The standout feature of NovaBackup PC is the security offered, as the software runs locally to send the data to a local media drive, and does not connect to the internet. Also, the backup can be performed with AES 256-bit encryption for extra security. Genie Timeline Home 10 promises “effortless protection for all your files,” and can be configured in three steps. There is a trial available for Windows XP and higher, although not for other platforms. This software is focused on traditional drive backup to a media drive, and the developer offers separate solutions for other situations including Android backup and cloud backup needs, keeping Genie Timeline Home 10 from being a more comprehensive application. The app sits in the Windows system tray as an icon, quietly going about its business. Notable features include the option to have the backup run at full speed via Turbo Mode, or to run in Smart Mode which intelligently adjusts itself based on the available system resources. For those who hate interruptions, this software has a Game/Movie mode which automatically stifles any annoying pop-ups, to make sure that your gaming or viewing experience isn’t compromised. There’s a mobile app for iOS, but not for the more popular Android platform. Genie Timeline Home 10 offers a free trial, and costs $39.95 for the full version of the program.